Mr. Jack Tilley became the tenant of Bartletts Farm in September 1945 and farmed about 80 acres of land. He arrived at Bart letts as a bachelor from Surrey and at that time Bartletts Farm, Ducks Nest Farm and the land close to Arborfield Court belonged to Mr. Patterson. In 1948 the land came up for sale. Mr. Barefoot, the tenant at Ducks Nest, bought that land and Jack Tilley bought Bartletts in September 1948; the land near Arborfield Court was sold separately. Later the Arborfield Court land was sold again to the Ashtons who also bought Yew Tree Cottage and the 10 acre field behind it. 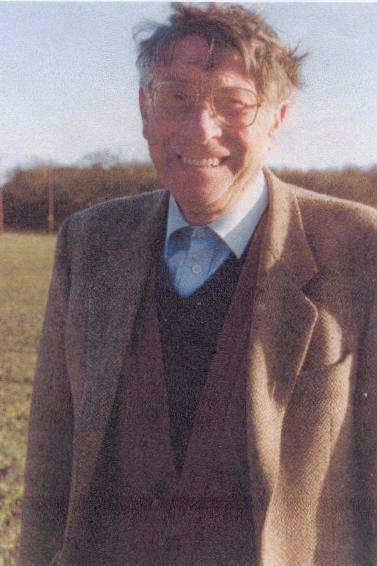 Eventually in 1978 Yew Tree Cottage was sold to the Hamiltons and Jack Tilley was able to purchase the land near Arborfield Court and the field behind Yew Tree. Bartletts Farm grew to a farm of about 120 acres. In his pioneer days Jack kept a herd of sows and sold the litters as weaners each week in Reading Saturday Market. More recently he, with his son Graham, have bred a herd of Simmental cross Angus suckler cows. Jack married his wife Bet in 1950 and they had three children, Graham, Suzanne and Linda ( another died in infancy). Like most farmers on a small acreage he only employed casual labour together with his son, Graham and he had no time to cultivate a hobby outside agriculture as he was continually out in the fields. However, he greatly enjoyed shooting in the Bridge Farm Syndicate in the 1960’s with his neighbour Bill Goddard (Whites Farm) and Mr. Balsdon and afterwards the shoot lunch held at 'The George and Dragon', Swallowfield. Jack invited his shooting pals back to Bartletts, and he enjoyed being host. Sadly Jack Tilley died on December 28th 2001 at the age of 81 years (after all the Christmas turkeys had been dealt with - his annual concern). His son Graham now runs the Farm following in his father’s footsteps. Jack Tilley is missed, he was one of a kind. With thanks to Graham Tilley and acknowledgments to “The Forest Farmer” April 2002.